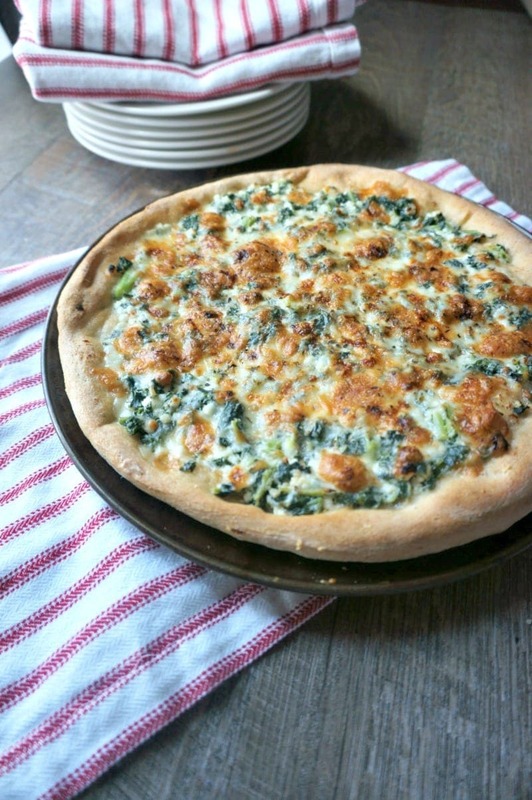 Easy White Spinach Pizza: Creamy ricotta, spinach, Italian herbs, and a mixture of mozzarella and Parmesan cheeses captures the classic Florentine flavor in pizza form. If you like pizza, you will also want to check out Taco Pizza, Tomato Pizza, Buffalo Chicken Pizza, and Easy Pull Apart Pizza Bread. I think I am part Italian. My pale skin, freckles, and blue eyes do not appear in any way shape or form Italian, but my taste buds–they think they are Italian. They are comforted by Italian food. They crave Italian on a daily basis. I could live on pastas and good breads with pure olive oil. I would be content to nibble on antipasto trays and sip on rich wines and finish my meal with a decadent tiramisu. I could eat Baked Rotini, Ravioli Lasagna, and Spinach and Tomato Tortellini on a daily basis. BUT, my husband, well, he is just okay with Italian foods. To him, pizza is his most favorite Italian food. You know, totally Americanized pizza. Now don’t get me wrong, I LOVE pizza, we pizza night weekly at our house—But, I really love ravioli and simple tomato sauces with fresh pastas. But what if I combined a classic Italian style dish with pizza? That may please EVERYONE in my house. You often hear of Florentine dishes in context with Italian foods. There is Chicken Florentine, Eggs Florentine, Shells Florentine, etc. What does Florentine mean? It refers to a recipe that is prepared in the style of the Italian region of Florence. But another definition of Florentine means to be prepared with spinach. And that is what I think of when I think of Florentine style dishes. So a Florentine Pizza, simply would mean a pizza with spinach. But the pizza I created is so much more than just pizza with a bit of spinach tossed in the mix. This Spinach Pizza has a tender crust , topped with garlic infused olive oil, a mix of creamy ricotta, spinach, and herbs. And then finished with sharp Parmesan cheese and mozzarella. It is a bite of Florentine meets America. It pleased this wanna be Italian girl and my typical American boy. Pretty sure you will enjoy this as well! I love making my own homemade pizza crust, but you certainly can use any store bought dough you like. Or if you need a gluten-free pizza crust, check out my friend over at Gluten Free on a Shoestring’s Gluten Free Pizza Crust. A tip for squeezing the frozen spinach dry, is to place the thawed spinach in a clean old kitchen towel and squeeze over sink. Then just wash the towel! Feel free to cut out the red pepper flakes for less heat in this pizza or add more if your family likes spice. If you happen to not like garlic, just omit it from this pizza for a plain Spinach Pizza. So slice up this fusion of American and Italian cuisine and please everyone. Mix in the honey and oil. Add the flour and salt slowly and mix in as you go. With dough hook or large spatula mix together dough until well combined. Once mixed, knead for 5 minutes by hand on a lightly floured surface or with your dough hook on low-medium speed. Place dough in oiled bowl and cover and leave in warm spot for 20-30 minutes. Once dough has doubled in size, preheat oven to 425 degrees. Mix together olive oil, salt, and garlic and spread evenly on dough. Mix together ricotta, oregano, spinach, parmesan, and red pepper flakes. Spread evenly over pizza dough. Top with mozzarella. Bake for 18-22 minutes, until cheese is melted and browned. 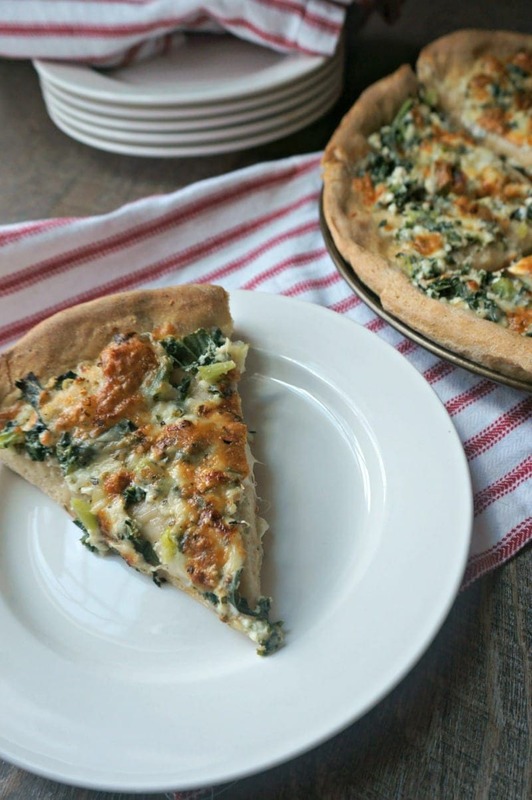 You can use any pizza dough you would like for this White Spinach Pizza. 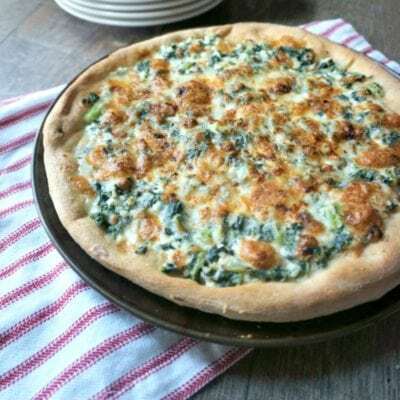 Feel free to use fresh spinach for this Spinach Pizza recipe. It is best to cook the spinach first and then drain, so the spinach will not release water while the pizza is baking to keep the pizza from getting soggy. You would need about 1 pound of fresh spinach to equal 1/2 cup wilted spinach. This sounds like a delicious pizza! One I would devour very quickly!! This is my kind of pizza – no tomato sauce. Hooray!!! No sauce needed for a great pizza! Such a beautiful pizza! Great combination of flavors. Glad you were able to find a compromise that satisfies both you and your husband. Yummy! I’ve been craving pizzas recently, I need to put this on my list! 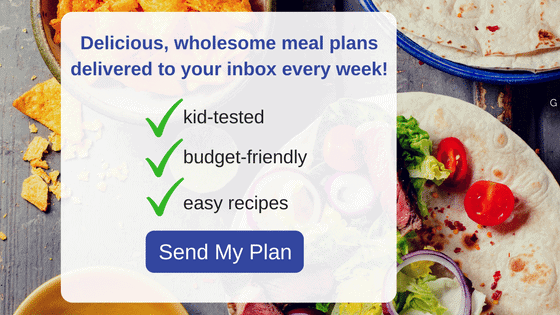 You do need to put this on your list! This could become my new favorite pizza topping! It looks incredible!!! Wow! This looks beautiful and delicious! Dear Kristen, this is one gorgeous pizza. I love florentine dishes with spinach and this one is a real winner. The crust looks absolutely amazing!!! This!! Oh my gosh yum! Bookmarking this one. Thank you! I love a good spinach pizza- all veggie! This is one good looking pizza!! Simple and delicious like all good Italian food. 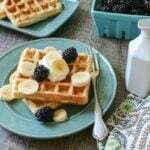 This is my first time participating in Sunday Supper and I’m loving all the fantastic recipes!! 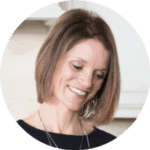 Welcome to Sunday Supper Meaghan!! I’m a sucker for a good pizza and this one looks fabulous!! Thanks Christie–this was a winner at our house! we love florentine EVERYTHING. Pizza is a bonus! White (and green) pizzas are my favorite….this looks amazing!!! Your photos are stunning…. Hi, I just doubled this recipe on top of two large store bought naan breads. also, I used wilted fresh spinach and topped them off with torn prosciutto. I baked them for 10 minutes at 400 degrees. delicious! my husband “does not like” white pizza but he gobbled these up. thank you! YAY!!! I am so glad you and your husband both enjoyed!